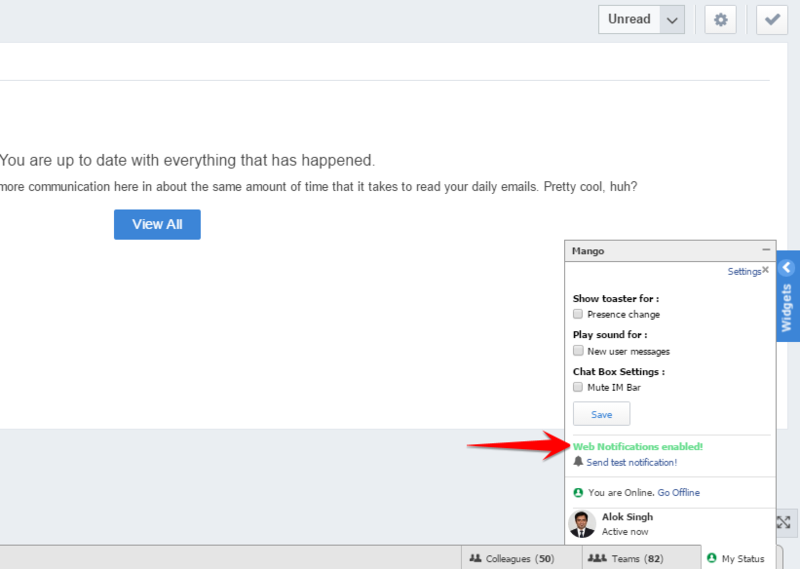 /Notifications & Email /How to Configure Web Browser Notification for Mangoapps? MangoApps will display a small popup window on your desktop when you are in a different application. The popup will contain the first portion of the message you received and can optionally play a sound. See Configuring web notifications for more details. If you see a green Enable web notifications button, you’ll need to click that button and tell your browser to allow MangoApps’s notifications. Find yourdomainname.mangoapps.com and remove it from the list by clicking the “X” on the right hand side. In the tab with yourdomainname.mangoapps.com loaded, right click on the page and click “View Page Info”. 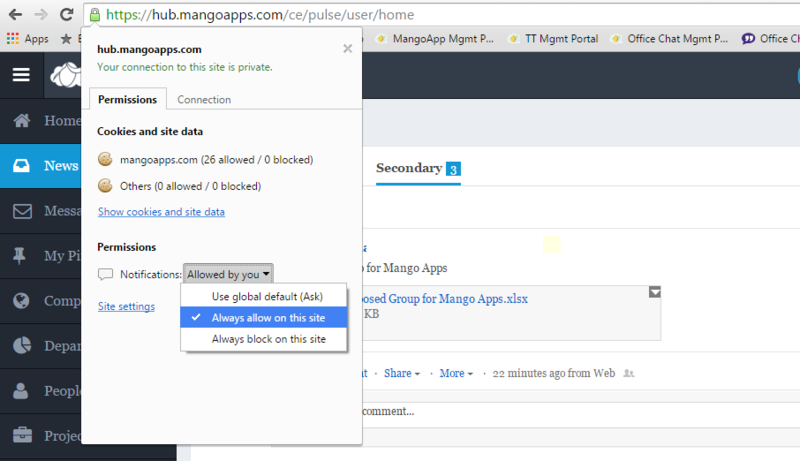 Select yourdomainname.mangoapps.com and click the “Remove” button. And that is it! Once you do that, go back to your MangoApps domain and refresh. You should be all set to get notifications for chat messages! Web notifications are supported in the standalone Slack desktop application and in recent versions of Chrome, Firefox, and Safari. If you aren’t sure whether your browser is supported, visit http://caniuse.com/#feat=notifications. How to Mark Feeds As ‘read’ for a Specific Module in Mangoapps? What Does the Number on the Browser Tab Tell Me About Mangoapps? How Do I Turn On/off Different Notifications in Mangoapps (native App/web/mobile App)?